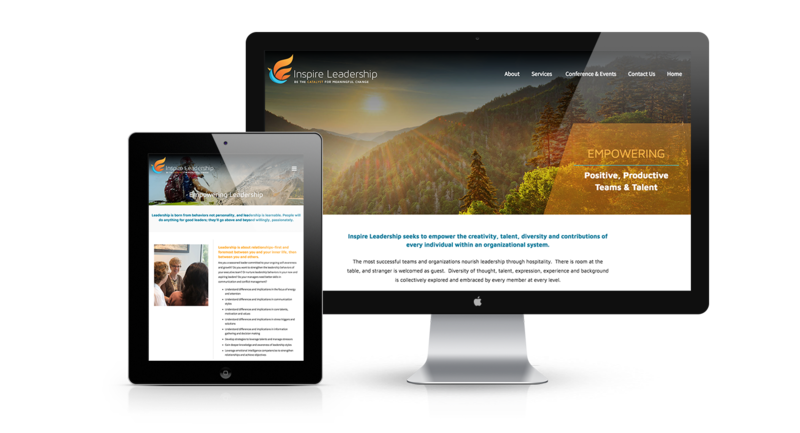 Inspire Leadership, a company that specializes in empowering the creativity, talent, diversity and contributions of every individual within an organizational system. 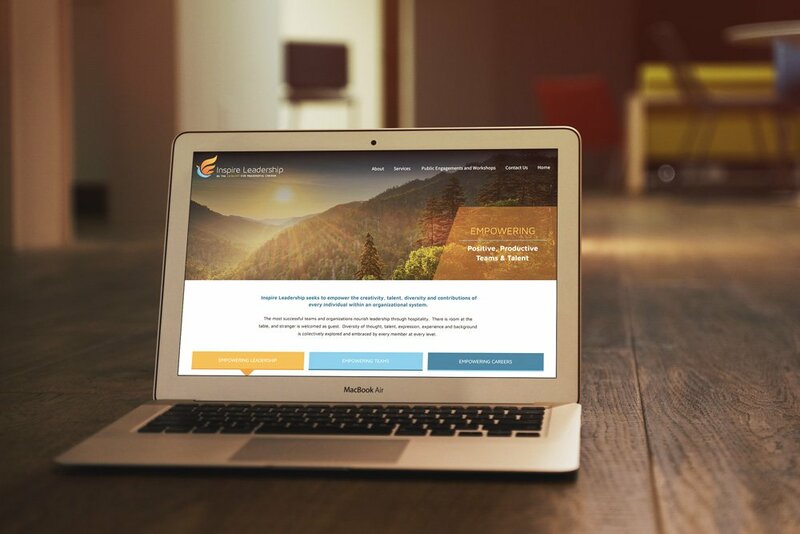 Deene came to us in helping her create both a website and logo that were both simplistic in design and clear in message, as well as being inviting and instilling the sense of hospitality on a potential client. For the logo, we used the various shades of the complimentary colors blue and orange. The graphic of the bird conveys both a sense of upward movement as well as a warmth from a fire, both from outside as well as from within. 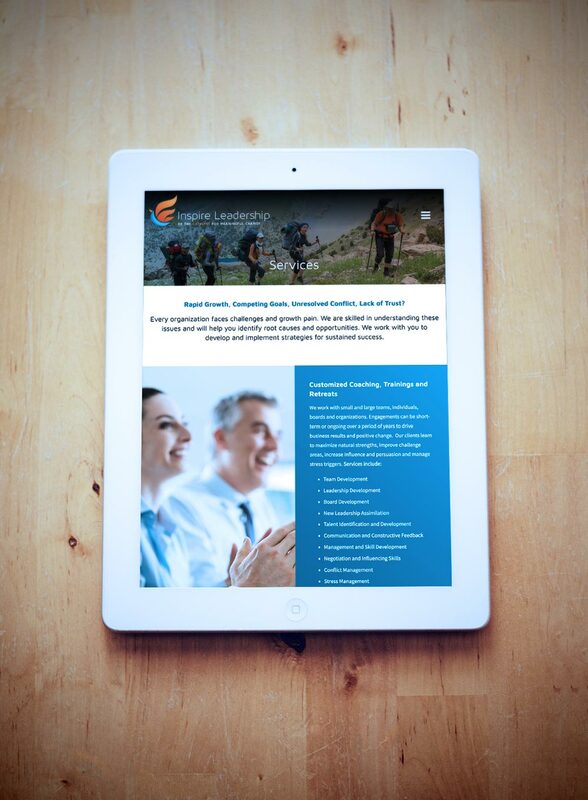 For the website, we incorporated the use of the blues and oranges from the logo into the design. The site also conveys a sense of warmth, welcoming hospitality, and unity. 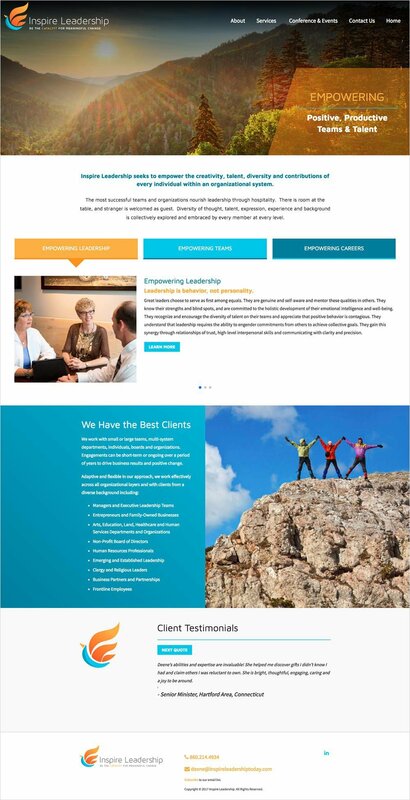 We’re very pleased to have created such a beautiful site and logo for Deene!